When we moved to Stockholm, Sweden from the US, I noticed that there was a line of strollers parked outside of the cafes during the daytime. I heard the faint sound of a baby making noise tucked under a bundle of blankets. The movement of little feet indicated that the baby was waking up. What was the protocol here? 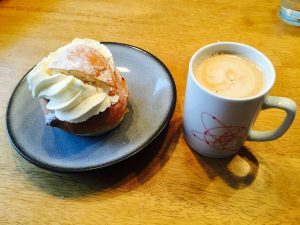 Should I let the mother inside the cafe know? It wasn’t long as I stood frozen in moral dilemma than I saw a beautiful Swedish woman zip out of the cafe and head straight to her impeccably chic bassinet stroller—the source of the baby noises. She scooped up her baby and went back inside to sit with the other mothers enjoying their coffees. She had been keeping a watchful eye on her baby through the cafe window and was completely relaxed about the entire situation. 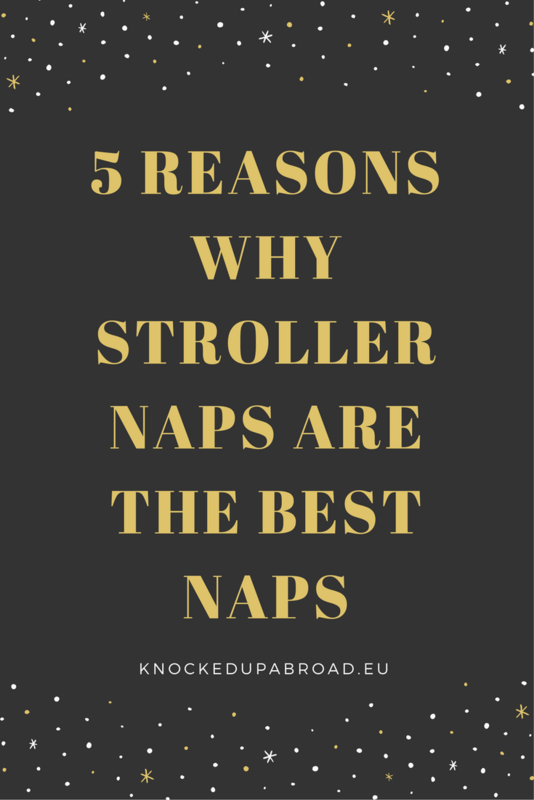 Why are stroller naps the best? 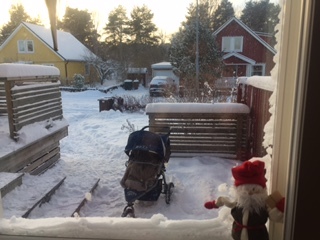 Babies sleep outside in all types of weather in Sweden, Denmark, Norway, and Finland with the theory being that babies sleep much deeper in the fresh air. You know that parents will do anything to get their children to sleep and from personal experience, I’ve seen this work wonders. It is also believed that babies sleep longer when they are outside because their movements are partially restricted in their sleeping bags and snowsuits. It is the cultural norm for babies, toddlers, and young children to nap outdoors. Throughout Sweden, you’ll often see parents walking their children in strollers outside during mid-afternoon naptimes. Other apartment dwellers have bundled up their children and placed them on the balconies in bassinets to get their daily dose of fresh air. 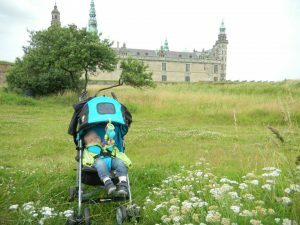 When your child naps in the stroller, you are super mobile and free to go wherever you want (well, maybe not anywhere but you can still move around). Our daughter used to fall asleep while I was getting both kids ready to drop our son off at preschool. It was easy enough to place her in the stroller to drop her big brother off at school and then run errands. A side benefit: As soon as your child wakes up, you can put them to work. I was exhausted during the first month after my daughter was born. It was a struggle to get my older child off to preschool on time while managing the ever-changing needs of a newborn. 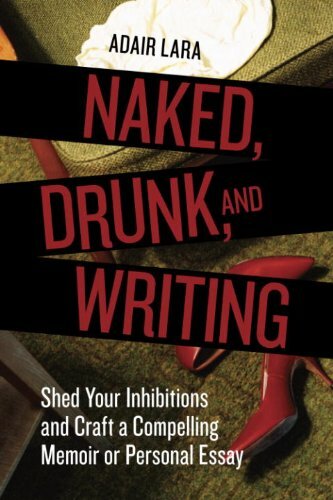 Not to mention, my body was in recovery mode. 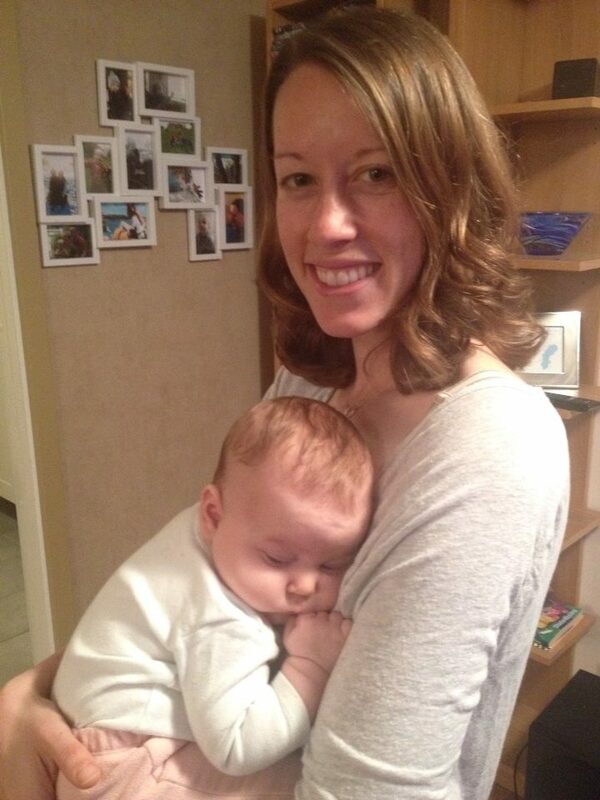 I wore my infant a lot in a baby wrap/carrier, as that was a surefire way to snuggle her down for a nap, but that too was exhausting. After a while, my back and shoulders started to ache as she put on more and more weight. By going on daily walks with a stroller, you are giving yourself a much-needed break as a mom. Pushing a stroller is much easier than wearing your baby everywhere and you’re still getting lots of fresh air and a bit of physical activity. Not all women are up to walking (or strolling) immediately after birth, but almost every mother can walk six weeks postpartum. Gynecologists say that mothers can walk as soon as they are feeling up to it. For me personally, going on multiple walks really helped me recover both emotionally and physically. 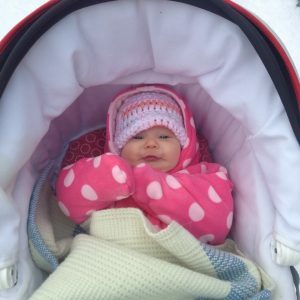 My daughter was born in October when the days are getting shorter and darker, and forcing myself to engage in light physical outdoor activity every day was a lifesaver in terms of getting me out of the house. 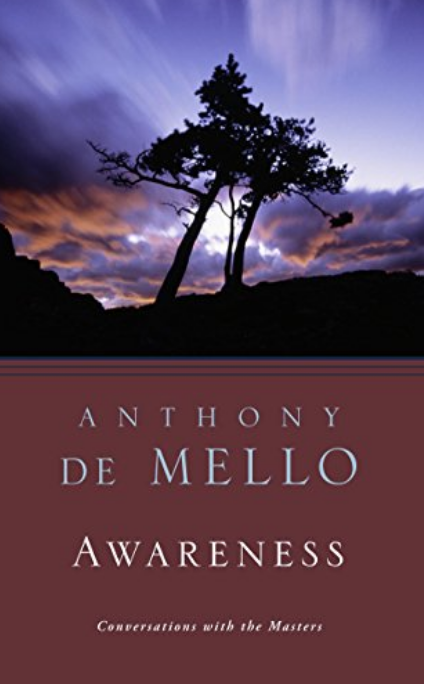 I often ran into neighbors and we would chat a bit, which helped with my socialization. I didn’t feel as isolated as many mothers feel directly after giving birth. The rhythmic movement of the strollers coupled with the warm snowsuit-sleeping bag combination resulted in a consistent sleeping routine. I was often afraid that my daughter would be cold, but she was always quite warm whenever I would remove her from her sleeping bag. Like a hot potato, she was super cozy in her layered sack. Our friends and family were concerned that it was unsafe to have our daughter sleep outside after her stroller walk, but we always kept a watchful eye on her through our kitchen window. She was safe on the front deck of our house. When your child naps in their stroller, they are exposed to noises of all kinds and consequently, do not need a perfectly quiet environment in which to fall asleep. This was especially helpful because we have a dog who loves to bark at random hours of the day and night. Both of our children are perfectly content to sleep through noisy clangs and bangs without waking up. When our daughter was born in Sweden, we decided to go “Full Swedish” and adopt all of the cultural traditions including sleeping outside. 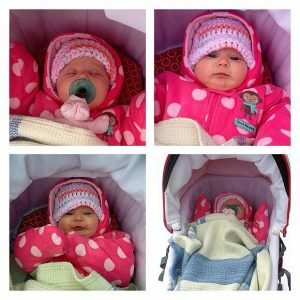 We bought a stroller sleeping bag and a snowsuit and took her for a walk when it was naptime. She was born in October, so we entered the colder weather months fairly quickly when she was still a newborn. She is able to sleep indoors as well, but her ability to nap outside was helpful when loading up the double stroller to take our older child to preschool. Whenever she couldn’t fall asleep at night, I would get suited up and take her for a stroller walk in the middle of the night. Every time, she would fall asleep almost instantly. Now, as a three-year-old, she still demands outdoor stroller naps and is a sound sleeper both inside and out. 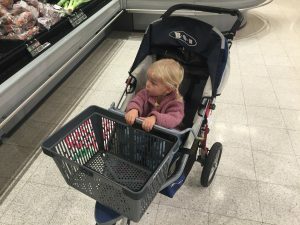 Most places in the US aren’t as stroller friendly as they are in Scandinavian countries—you have to load and unload the kids from stroller to car and back to the stroller. All of that jostling undoubtedly wakes up your baby, and you find yourself confined to your car while your baby finishes his/her nap. While using a stroller for your child’s naps won’t solve America’s dependency on cars you can still take your child for a walk on the weekends or during the day if you are on maternity leave. Be sure to buy the right equipment for your climate and don’t forget to bundle up yourself! It won’t be much of a walk if you’re freezing, but your baby is snoozing dreamily. Basinet style strollers are very popular in Europe but not so much in the US and I’m not sure why. 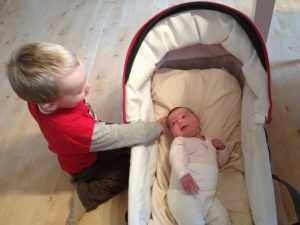 They are ridiculously helpful in transitioning a sleeping baby from outside to inside, and a warm stroller sleeping bag will keep babies cozy even in sub-zero temperatures. There are some affordable options that are click-n-go available in the US that will get the trick done. Of course, the super deluxe model that I see all over Stockholm is the Bugaboo model which looks like a Transformer and converts into five different variations of the same stroller to grow with your child. That thing is a behemoth but not in our price range. 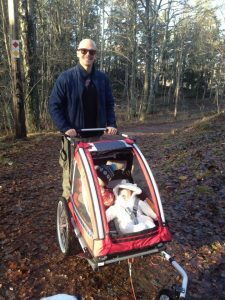 Both of our children slept soundly throughout their first few years in our BOB jogging stroller (laid flat) and in our Nordic Cab bike trailer with infant seat accessory—further proof that you don’t need a bassinet stroller to have a healthy outdoor sleeper. Okay, we strolled and my baby is sleeping. Now, what do I do? Relax. Drink a coffee. Maybe eat lunch with two hands? That’s a good idea, isn’t it? Your baby will be awake before you know it so enjoy these fleeting moments of solitude. Once your baby has fallen asleep, park the stroller in front of a window and head inside. You can keep a watchful eye on your baby if you have any safety concerns. You can even place a baby monitor in the stroller if that helps ease any anxiety. Obviously, you know your situation best, but I’m willing to bet that most American homes have a front porch or walkway that is easily accessible to a mother in her house. Overall, going out for daily walks will help with postpartum recovery, your baby’s sleeping habits, and the fresh air will be good for the whole family. If you want more information, click here for a healthy postpartum walking program. 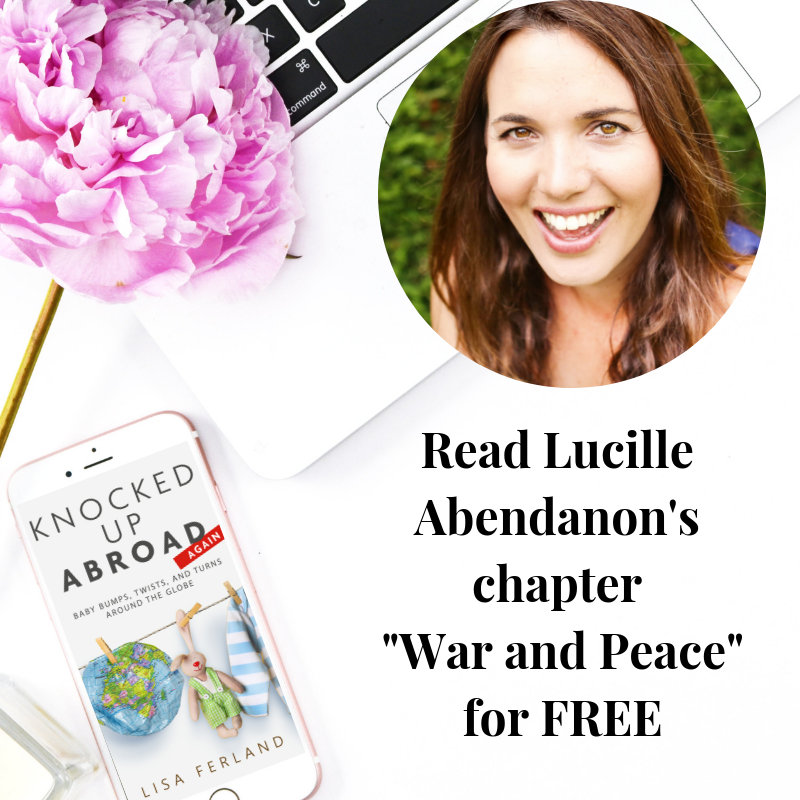 For more stories about parenting ideas from abroad, read the Knocked Up Abroad books here. The greatest advantage of an stroller is that they can fold up very easily for storage and they are extremely light. So whether or not you’re keeping it stored around the house, or you’re outside pushing it around, it will not be a burden to you.